Well, it looks like all of those weddings from 2018 paid off in more ways than one: I was recently notified that The Merry Ministers is a recipient of the Couples’ Choice Awards for 2019! This is awarded by WeddingWire, where I receive most of my client referrals from, and is based on the quantity and quality of customer reviews (so yes, potential couples, I WILL be asking you for a review!). Officiating is not my full time job, but it is a passion job. I love connecting with couples. I love being a part of such an intimate and memorable moment in peoples lives. I love standing next to the groom as he sees his bride walking down the aisle. I love been privy to those little conversations the bride and groom exchange while I’m officiating (“you look beautiful!” “we finally made it!”). It’s such an honor to know that couples are happy with the work that I do, which makes this award pretty significant for me. So, thank you to all my couples, from 2018 and before, and all my future couples: I love being a part of your day! Thank you to Love Tribe Weddings for capturing this image! Hello there! Wow, has it really been over 2 years since I’ve blogged on here? This might just be a huge coincidence, but it’s also the exact age of my son, haha. We’ve got baby #2 coming in April (boy name suggestions are welcome!) so I can’t promise I’ll be much better, but I can tell you that it doesn’t mean I haven’t been busy with wedding stuff! 2015 has been a busy wedding year and I still have one more wedding scheduled on Thanksgiving weekend. 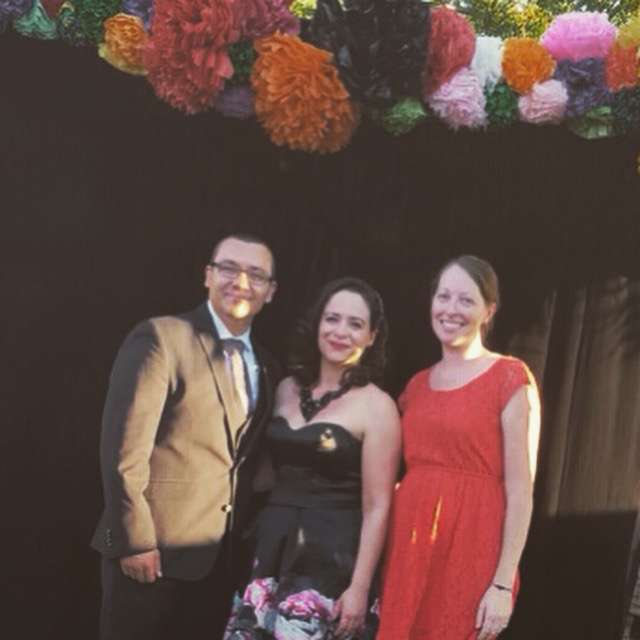 I was able to officiate two very special weddings this year (among many other awesome ceremonies): one for my friend Bobby and his beautiful wife Alison, who got married in Temecula, and another one for my very dear college friend Maria, and her husband, Jose. Both of these ceremonies were so personal and touching, and I was just so happy that I was invited to be a part of them. For the last couple years I started getting more involved with event coordinating with Events by Katherine, and this has been such a wonderful experience. I’m starting to run my own weddings through Katherine which is incredibly exciting, and I have several weddings booked with her for 2016 already. I’ve also been working on my Wedding Wire page for the officiant side of things, and have already booked 2 wedding ceremonies for 2016, which is very exciting! On top of that, my cousin is getting married next year (yay!!! ), as well as one of my best friend’s from college, and I’m happy to be “all hands on deck” for both of these. I’m excited to be able to share with both of them all of the wedding knowledge I’ve gleaned from my own events throughout the last few years, and that they both know they can call me with any random wedding questions they have. It’s so nice to be able to provide the comfort of knowing what you’re doing to people who are going through something for the first (and only) time. I’m still trying to convince one of them to have a mashed potato bar during their cocktail hour, but I don’t think I’m going to win that one…but seriously, have a mashed potato bar during your cocktail hour…you won’t regret it! Here’s to a busy, bright, and awesome 2016 wedding year! If someone had told me five years ago that I would be starting a website to perform wedding ceremonies, I wouldn’t have believed it. But here we are! A great friend asked me to perform her wedding last year, and I thought “sure, why not.” It was meant to be a one-time deal, but after performing her wedding ceremony it got me thinking: I can do something pretty neat with this. 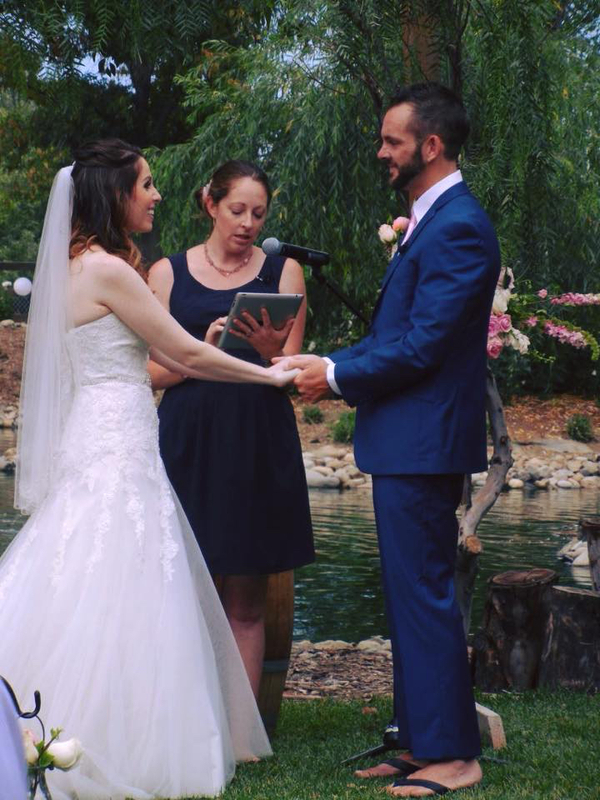 Brooke is one of my bestest friends, and she’s been performing wedding ceremonies for years now, so it was only natural for us to join forces and see how many lives we can change by performing custom-made and heartfelt wedding ceremonies. My plans for this blog started humbly, but they are growing by the minute. I want to share with you new and creative ideas for your wedding, I want to keep you posted on the latest trends, I want to give you alternatives to the traditional wedding ideas that are out there. So, check us out, stay tuned for updates, and feel free to contact us if you have questions about our rates and/or services. Oh yeah, welcome to the Merry Ministers!